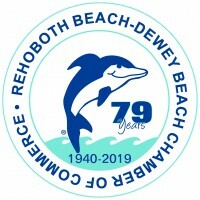 The Rehoboth Beach-Dewey Beach Chamber of Commerce has scheduled a General Membership Meeting for Friday, April 26, 2019 at The Cultured Pearl Restaurant. The buffet luncheon will begin at 12 noon followed by a presentation from Chamber Legislative Representative, Lincoln Willis. Lincoln will provide a legislative update on the 150th General Assembly. He will also discuss the Association of Chambers. Delaware State Auditor, Kathy McGuiness, will also be attending to address the membership. RSVP required - $22 per person, includes buffet lunch and soft drink, coffee or tea. Please call Lisa to reserve your space (302) 227-2233 ext 14 or email lisa@beach-fun.com.